The September User Group - September 21st featuring a Salesforce Partner focused on Sales Enablement, Highspot. Did you know that 50% of companies that have committed to sales enablement are increasing sales conversion rates by at least 10% and a full 23% have increased conversion rates by over 20%? Sales enablement is a hot topic these days, and for good reason! When done well, the powerful combination can make your Salesforce implementation even more valuable to your sales reps, marketing team and executive leadership by having a direct impact on improving sales conversion rates. But, the fact is, the path to sales enablement success can be difficult to navigate with all of the noise from the many sales technology offerings on the market today. As an added BONUS, at the September User Group session, be sure to enter the raffle for your chance to win a hover board* and help you navigate the upcoming Dreamforce conference with ease. If you’re interested in sales enablement, you don’t want to miss this session! Greg leads the Global Sales Productivity team at Red Hat, responsible for sales process, policy and tools. He is accomplished in developing strategic plans, delivering innovation and supporting program execution to marketing, sales and IT functions within industry leading technology firms. He has built a broad base of functional experience and leadership skills in technology marketing, information technology and process change management. He enjoys the identification of business performance gaps and the introduction of new processes and tools as solutions. *Must be present to win. Terms and conditions apply. No matter your experience level, this Meetup is for you to collaborate with others around and about the Salesforce platform. There won't be presentations as such; this is more a time for you to do Salesforce-y things with peers outside of the regular 9 to 5. No matter your experience level, this Meetup is for you to collaborate with others around and about the Salesforce platform. There won't be presentations as such; this is more a time for you to do Salesforce-y things with peers outside of the regular 9to5. Are you going to Dreamforce? Are you speaking? We plan to host a series of meetings featuring local users who are presenting at Dreamforce this year. This gives speakers the chance to practice their speaking skills and local community members the chance to hear great Dreamforce content to us! This is a great opportunity to streamline your agenda for your trip in October and if you're not going, brings a little bit of Dreamforce to you! Every Customer has a journey with Salesforce, but not every journey is the same. Please join us and learn about all the resources available to help create and optimize your journey to success on Salesforce! 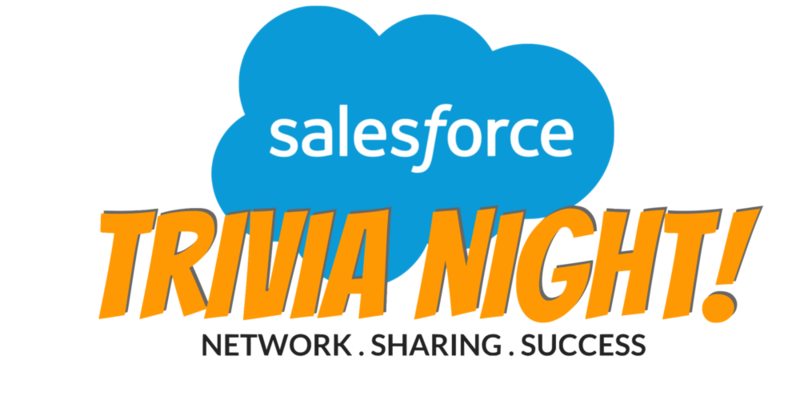 Please join us for fun NIGHT of Salesforce Netwrorking & Learning through our first ever TRIVIA NIGHT! Arrive at 6 pm to mix, mingle, and eat... grab a seat and find your team. Space is limited so please RSVP today to reserve your space. Do you have a Salesforce Trivia Question you'd like to ask? Submit your question idea for a chance to win prizes! This event is sponsored by Capstorm, The Salesforce Backup & Restore Experts. Mission critial data is stored in Salesforce. It just makes sense to keep a hot copy of the Salesforce data!